Serving the musical and educational needs of the citizens of Minnesota is part of our mission. Thanks to support from foundations and individual, the Sinfonia has developed many successful outreach programs over the years. 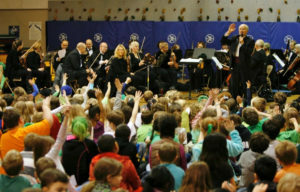 Music in the Schools is the Sinfonia’s exciting in-school program. You can watch video, review the curriculum, read testimonials and learn more about it here!